Google’s self-driving car project has been growing by leaps and bounds, and the company is almost ready to compete with traditional cars. Now the search giant is laying down roots just outside Detroit, not far from the traditional U.S. auto industry hub. 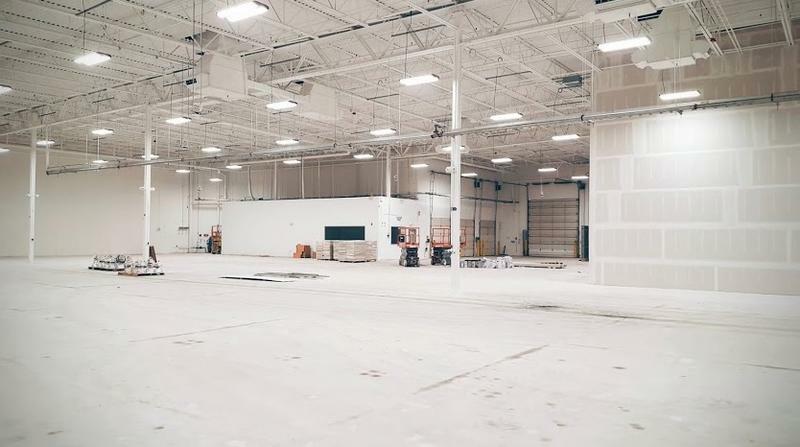 Google’s new 53,000 square foot R&D center is located in Novi, Michigan not far from Detroit. The small city recently put a big emphasis on car connectivity technology in an effort to improve its economy, and it seems to have paid off. Google’s self-driving car team says it already works with a bunch of companies based in the area, making Novi an easy choice for the new facility. Based on the image above the new space still needs plenty of work, but Google says its team will start to move in this year. Once the company is settled in, it plans to start working on the self-driving minivan it’s developing through a partnership with Fiat Chrysler. Google’s new space is still a lot smaller than the 400,000 square feet the company is apparently shopping for in the San Francisco Bay Area. Apple’s also reportedly looking for 800,000 square feet in that region to develop it’s own rumored self-driving car, though that project may already be lagging a few years behind the competition.